The World Poker Tour has packed up the trucks to close out the summer and few could have chosen a better location. The WPT has landed in Atlantic City, NJ, and, in particular, the Borgata, for the 2018 WPT Borgata Poker Open. Day 3 is now in the books with an East Coast grinder at the head of the pack and a recent “High Roller” who has been making some noise back in the pack. 142 players came back to the tables on Wednesday and, with the money bubble on the horizon, some of them weren’t going to be happy. Only 135 of the people (from the 1075 entries) who returned would be taking home a payday from their trip to the Boardwalk. At the head of the pack was Timothy Miles, but an East Coast player by the name of Liam He would make his mark on the day. First, there was the matter of popping the money bubble. With the WPT Action Clock running (each player had to make their decision within 30 seconds unless they use an “extension chip” to give them a bit more time to come to a decision), it only took about two hours – and hand-for-hand play only took eleven hands – before a double elimination allowed two players to collect half of the $6057 minimum cash. Brent Roberts was eliminated by Ganjan Jeganathan when his K-J failed to catch Jeganathan’s Big Chick, while Douglas Nelson’s 9♦ 6♦ went down to Richard Tuhrim’s J-8 off suit after Tuhrim sealed his edge by flopping a Jack. The double elimination on the money bubble allowed Roberts and Nelson to split the 135th place money. 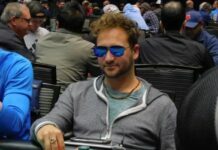 The parade to the cash cage began at this point, with notable pros such as Shannon Shorr, Anthony Zinno, Darren Elias, Mike Dentale, Ryan D’Angelo, Joe McKeehen and several others taking their pay for three days of poker. 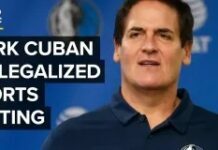 There were those that weren’t satisfied with just a few thousand dollars, however, and they charged to the head of the pack. He started out the day as the fifth largest stack in the room and he never seemed to make a bad decision. His chip stack increased through the day’s play until, during the final level of the night, He made his boldest moves. With Athanasios Polychronopoulos all in from the small blind, He would make the call with the goods. His pocket Aces were strong against Polychronopoulos’ A♣ J♣ as, by the turn, Polychronopoulos was drawing dead and He was adding his chips to his stack. At this point, He had five million chips and would ride that stack to have the lead at the end of the night. He has been primarily an East Coast pro since he started playing in 2009. 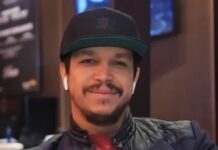 According to the Hendon Mob database, 23 of his 26 lifetime cashes have come east of the Mississippi River, with many of them coming in the Northeast poker strongholds of Atlantic City, Hollywood, FL, and Uncasville, CT. On the top of that resume is a third-place finish in the 2016 WPT Borgata Winter Poker Open Main Event, where he took down $297,995 of his $511,473 in career earnings. If he were to win this Borgata event, he would more than double his lifetime tournament poker earnings. Imsirovic’s either on one of the hottest streaks of recent memory or he’s actually that damn good. Coming off of winning two events during the 2018 Poker Masters series – and taking home the Purple Jacket as the overall champion – Imsirovic continued to have excellent fortune on the green baize. While he yo-yoed through the day – at times offering double ups and at others getting them himself – Imsirovic’s stack was always in action and, it seemed, always going up. Should he be able to keep the “run good” going, Imsirovic is a threat for the final table. Another player making some noise during the Borgata Poker Open is psychologist/poker player Maria Konnikova. Konnikova, who came from nowhere to capture the PokerStars Caribbean Adventure National Championship in January and earn a $30,000 seat to the inaugural PokerStars Players’ Championship this winter, has been making waves throughout the year with her play. Although she’ll be on the short stack starting on Thursday (19th of the 24 players remaining with 725,000 in chips), Konnikova bears watching as she looks to continue her dream year in poker. The cards will hit the air at noon (Eastern Time) on Thursday, with the final 24 players playing down to the six-handed WPT final table. The champion will be crowned on Friday, with the eventual champion heading out of Atlantic City with their name etched on the WPT Champions’ Cup and $575,112 in their pockets.